The Colorado Running Company Outlet Store is now open! Come join us from 10 to 5 on Saturdays and 10 to 3 on Sundays. The Outlet Store will be stocked with our items that are priced at a lower price point. Examples will be the stock from our trailer, this includes remaining shoes that are priced below full retail price. There will be a line of both men’s and women’s shoes. CRC also offers a full inventory of accessories including hydration products, nutrition, socks, gloves, jackets, hats and our “Get High” tees, as well as many other products. 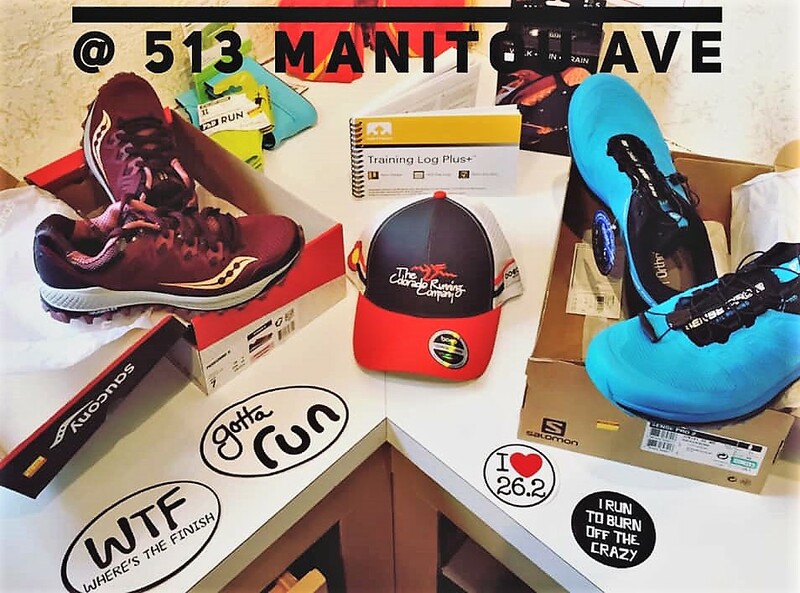 And if you are a regular customer and CRC has your name on record with the history of your shoe purchase, we can deliver your next pair of shoes to the Manitou location for convenient pick up. Join the fine staff on Saturday and Sunday of each week! Thanks to all of our customers that support a local, veteran owned and operated business! Also, visit our store at UVC next to Trader Joe’s for the latest in new updates on all products.